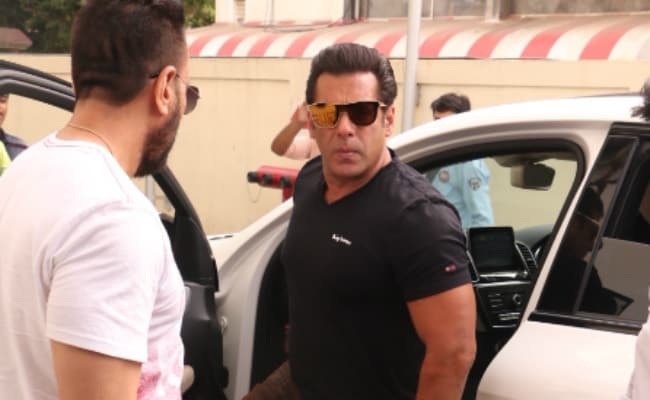 Since the time Salman Khan officially took over Race 3 as the protagonist, reports of the 52-year-old superstar suggesting changes to the film's script have done the rounds on the Internet. Now, at the trailer launch event of the movie in Mumbai, Salman was asked about how he landed the role, which was played by Saif Ali Khan for two consecutive turns. Salman revealed that he asked producer Ramesh Taurani to tweak the script to make it more Salman-like. "Race 3 script was offered to me two years ago but I didn't think I fit in the genre. I asked Ramesh Taurani to make some changes because I didn't fit in that genre. Once that was done, I thought it would be actually a lot of fun to do this film," IANS quoted his as saying. last year, it was reported that Salman asked the makers to tone down the intimate scenes, add more humor to the script and revise the film's drugs-peddling angle. Elaborating on the flavour of the movie, Salman said it's a first-timer for him with a genre that includes everything. "Earlier, we used to have a 'musical action bonanza' which hasn't come in a while. A film with big scale music, emotion, action, youth kind, which you watch, whistle in the end and go back home happy. This is one of those films, which I've never done at all," IANS added Salman as saying. Salman Khan co-stars with Bobby Deol, Daisy Shah, Saqeb Saleem and race regulars Jacqueline Fernandez and Anil Kapoor in Race 3. Talking about adding star-power to the film's cast, Salman said that the ensemble cast of the film has been utilised "fairly". "We didn't go for the star value, we went with the characters. They should justify that. It doesn't matter who's doing well and who isn't. Everyone has been treated equally in the film. Once you watch it, you'll realise this," he also told the reporters. Remo D'Souza has taken over the director's duties from Abbas-Mustan for Race 3 but dealing with the stars was not really a difficult job for him: "Salman had heard the script two years ago, I came in later. Then we all worked on the script and made necessary changes. The script was so brilliantly written, all the characters were etched out," IANS quoted him as saying. The trailer of Race 3 released on Monday, watch it here. Race 3 releases on Eid this year.